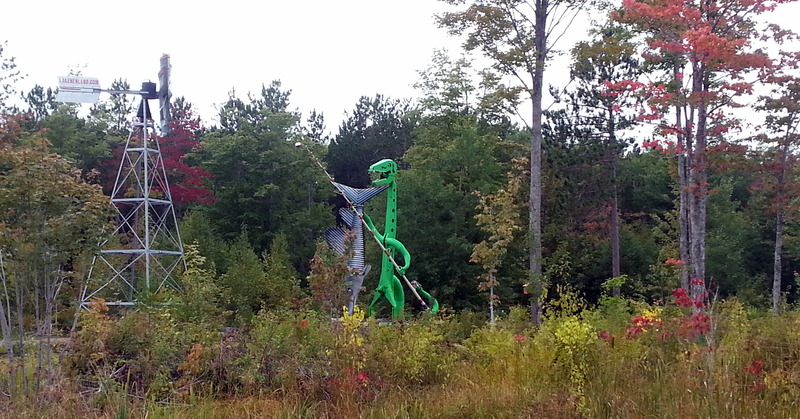 Zooming along the highway toward Marquette, my eyes pick up what looks like a large dinosaur grasping a big fish. I catch the words Free…Sculpture…Park. We debate the merits of stopping vs heading on. 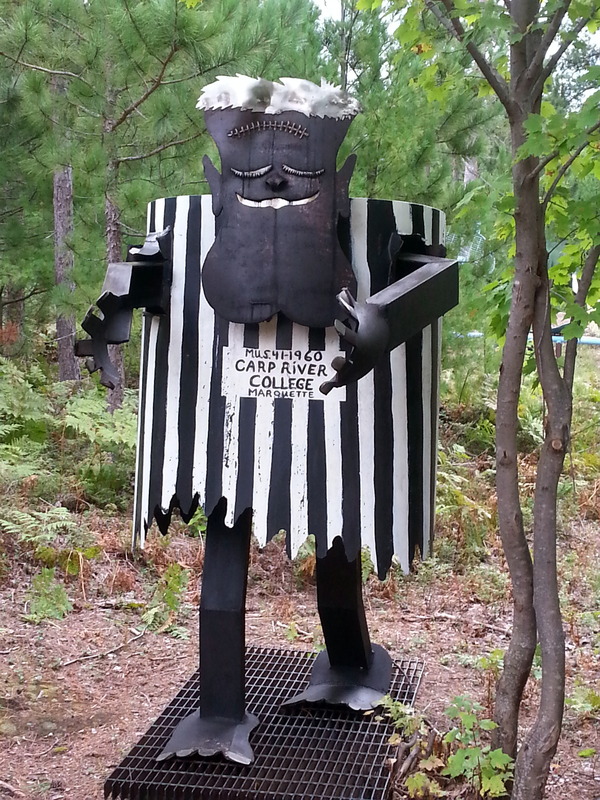 Finally, we decide that this might just be one of those quirky Yooper things that we must see. John expertly u-turns the Firetruck/Fireball in the middle of the highway (not much traffic on a Tuesday morning), and we head back to Lakenenland. 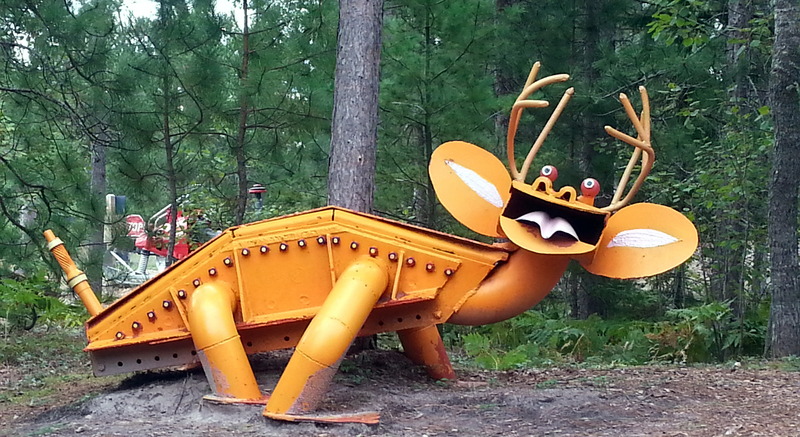 Acres of sculpture have been created out of scrap by Tom Lakenen, former Union member (Pipefitters I believe). There’s a winding road one can drive or walk through through to view the 80+ pieces. 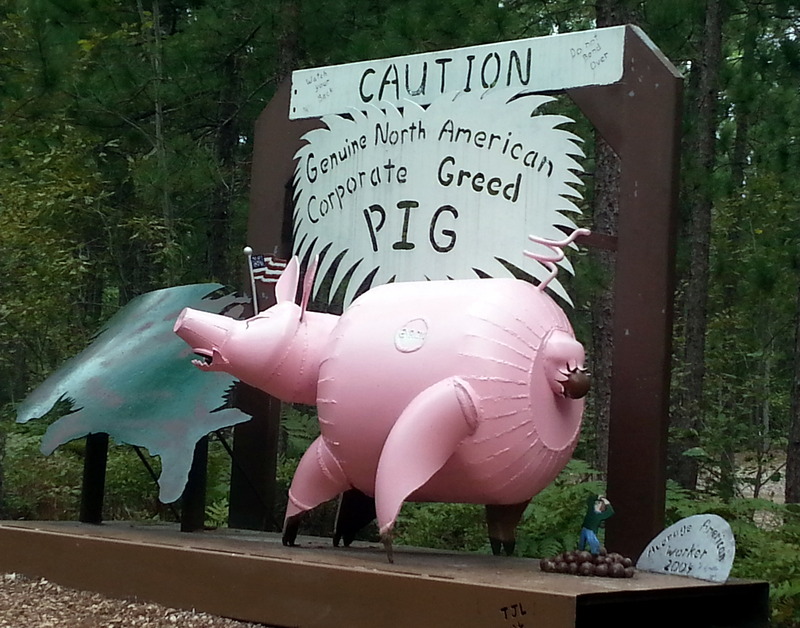 Many are whimsical (a series of dancing wolves), but many make sharp political statements about corporate greed, labor vs management, and US military international engagement. It’s a kaleidoscope of color and ideas. Here’s my favorite. Jezzy didn’t much care for the alligator. We are happy that we took the time explore this unique Park. Guess that’s what life in the slow lane is all about. We’re back on the road, heading to Marquette. 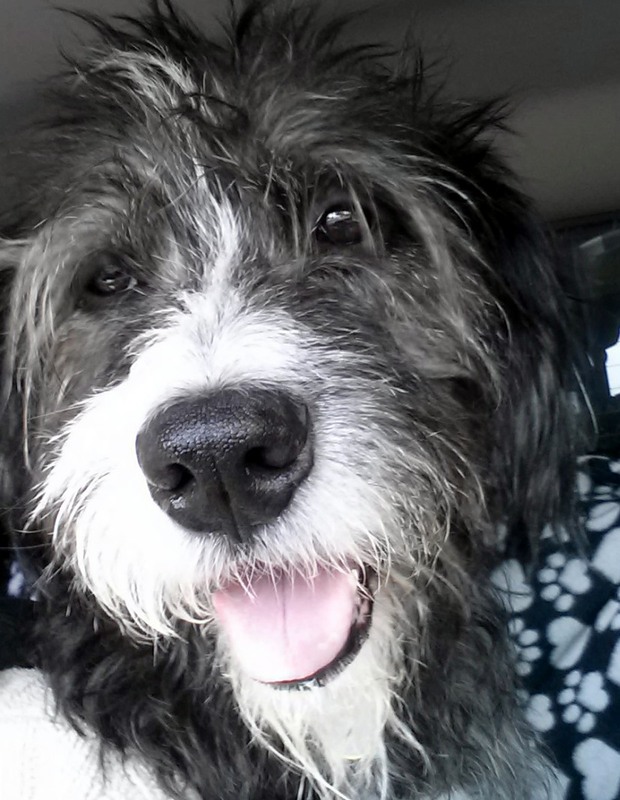 Jezzy takes a selfie. She loves being in the truck! No city exploration would be complete without a brewery stop. We were thwarted at Black Rock Brewery (what kind of college town brewery doesn’t open until 4pm? ), so we headed to Ore Dock Brewing instead. 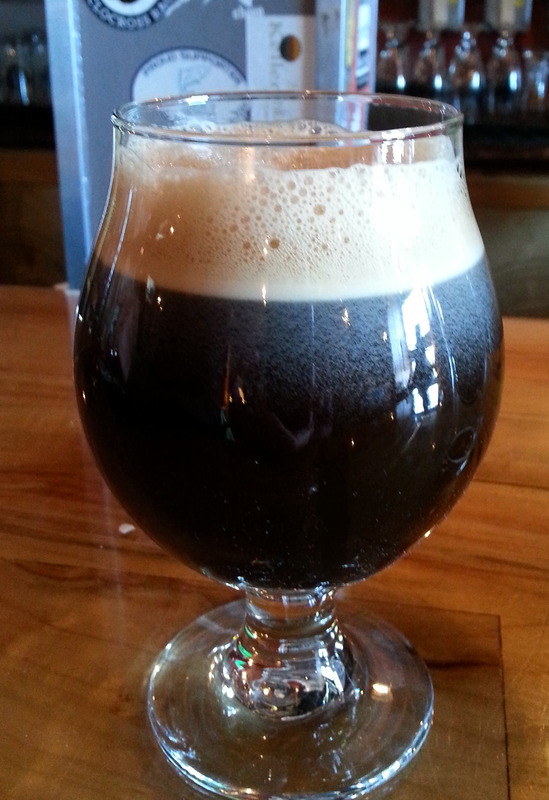 They featured a cask-conditioned, barrel aged Porter that will remain in my dreams for a long time. We detoured down to the fish market, and bought a piece of nearly everything! Fresh salmon for dinner – the Lake Superior salmon is very different than Lake Michigan salmon. It’s very much like the wild Copper River Alaskan salmon we find in the spring. Lovingly grilled, it made a spectacular dinner. For the road, we grabbed smoked trout, smoked salmon, and a smoked whitefish sausage. So far, we’ve eaten only the sausage, which we both gave an unenthusiastic ‘yeah, whatever….’ Oh well. I’m becoming a Yooper wannabe. It’s easy to see why there is such a fierce loyalty to this amazing area. 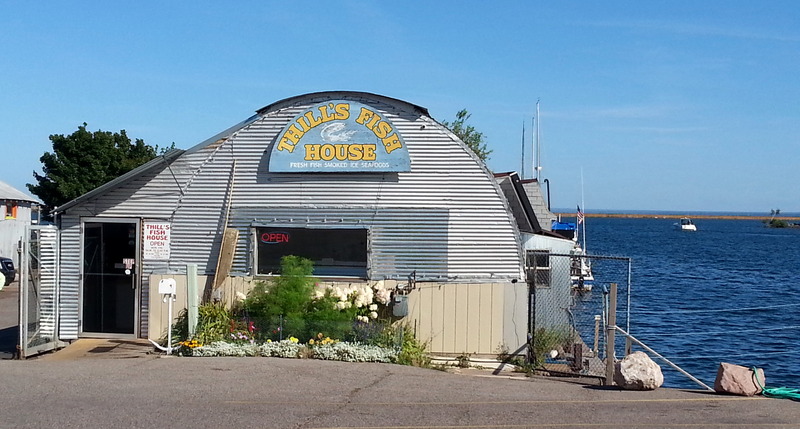 PS – I’m posting this from the Brickside Brewery in Copper Harbor, where we’ve spent three great days. Here’s what’s happening. Bartender: 8th Grade, or High School? (I nearly fell off my chair). You gotta love this place! 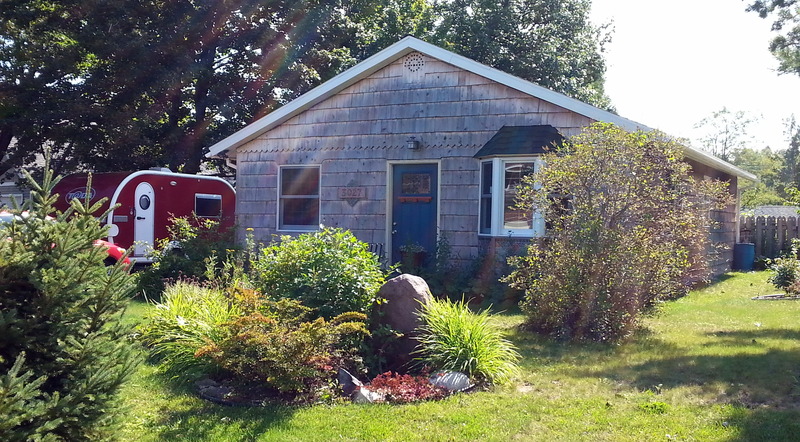 This entry was posted in beer, camping, cycling, Michigan, retirement, RV life, simple camping, T@DA and tagged camping, cycling, Marquette, Michigan, retirement, road trip, simple camping, T@DA, the great outdoors by Judy Crankshaw. Bookmark the permalink. 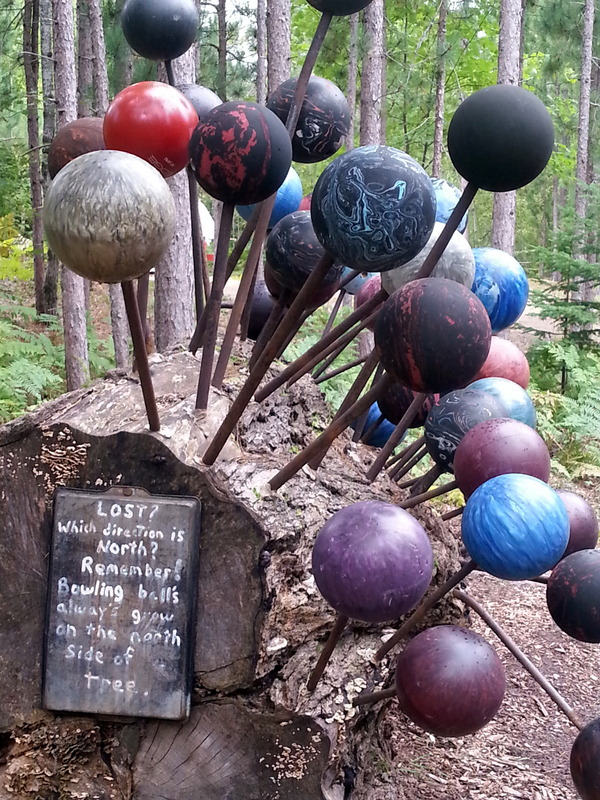 We’ve driven past the sculpture park numerous times and have never stopped. It was usually to/from somewhere on a time limited vacation. When we were out west there were warnings at laundromats not to wash clothes soiled from working in the oil refineries. 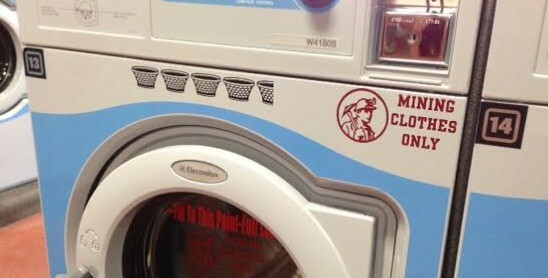 Nice of that laundromat to offer a washer for mining clothes only. 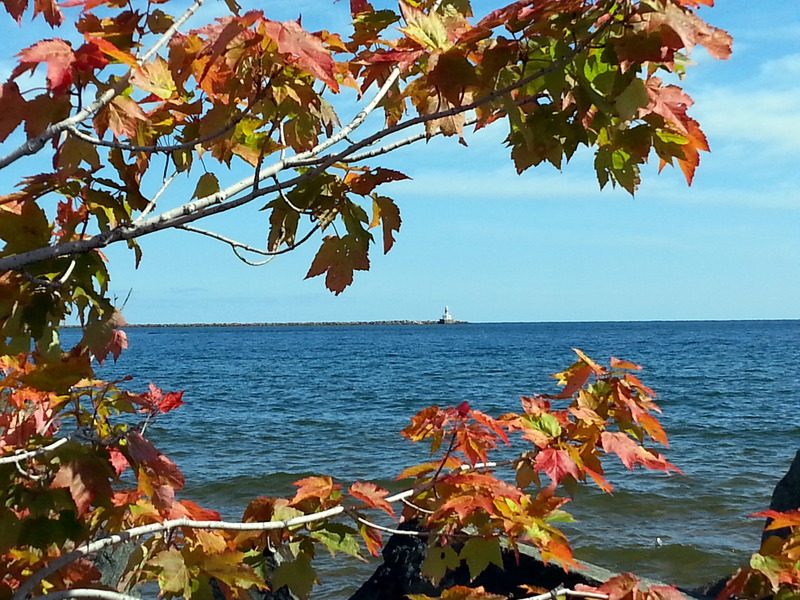 Love the Lake Superior view through the autumn leaves. Looks like they’re already changing color? We usually do a Fall trip to the UP in October. Better get up there soon. The sculpture park is definitely worth a stop. 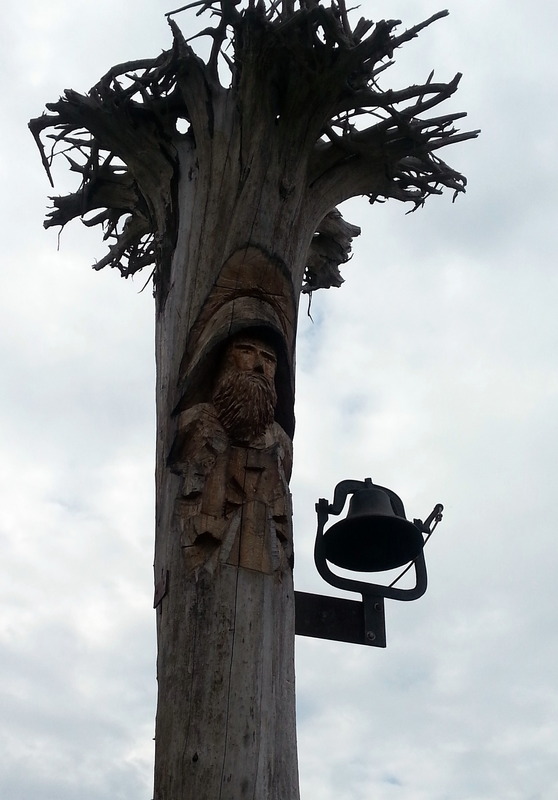 Lakenen has put a lot of work into making it an interesting place. In the last the date, we’ve really noticed the colors starting to pop. If you’re heading this way, don’t wait too long. 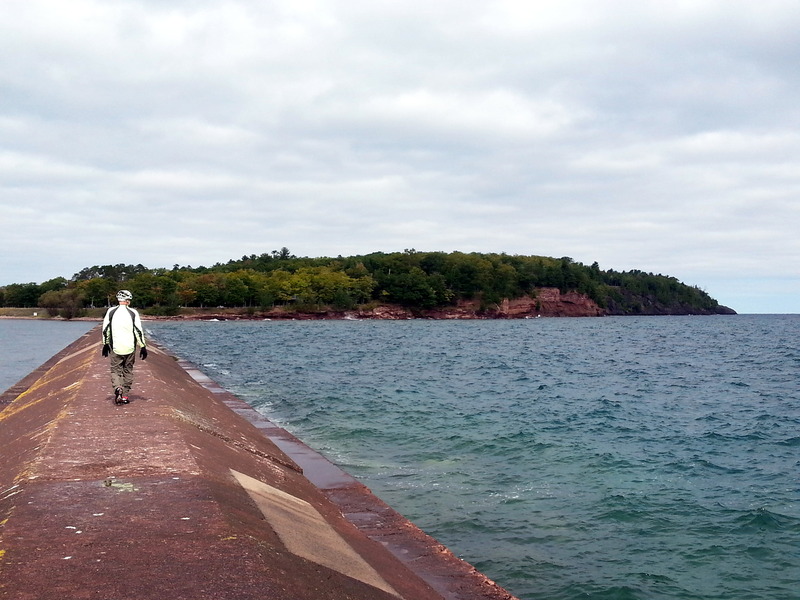 We’re up in Copper Harbor now, and it’s probably 30% color. Gotta push to get to Minnesnowta, before it gets too late. Thanks for checking in. 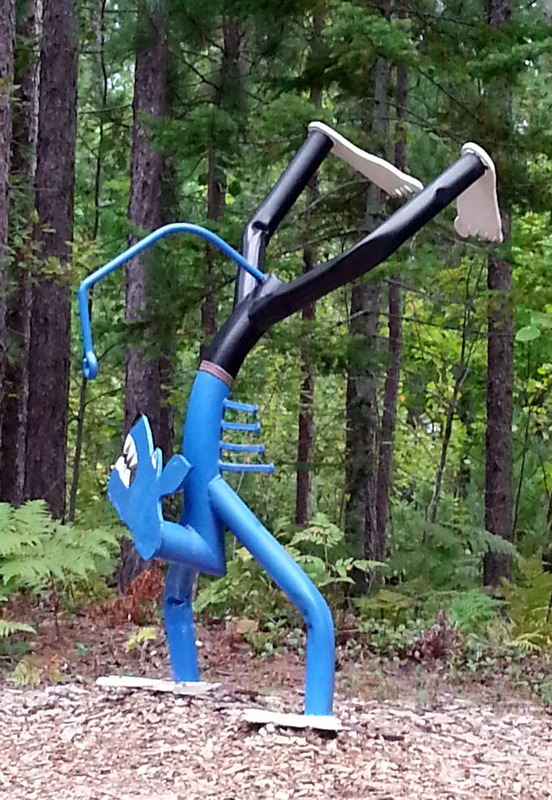 I loved the sculpture park, the guy who does them could make a few bucks if he decided to charge admission. I hope that you’re enjoying Copper harbor, it’s one of my favorite places in Michigan, other than it’s a loooong way from GR. Are you staying in the state park there? I don’t know what the forecast is like up there, but we’re supposed to have about perfect weather for the next 7 days. You may hit the Porkies with good weather and the trees at their peak color. The Sculpture park sign at the edge of the highway says Open 24/7. Think he’s not planning an admission charge anytime soon. There’s also a huge pavilion with tables and an enormous fireplace which was constructed in 2013. It’s a great place to stop and hang out for a bit. 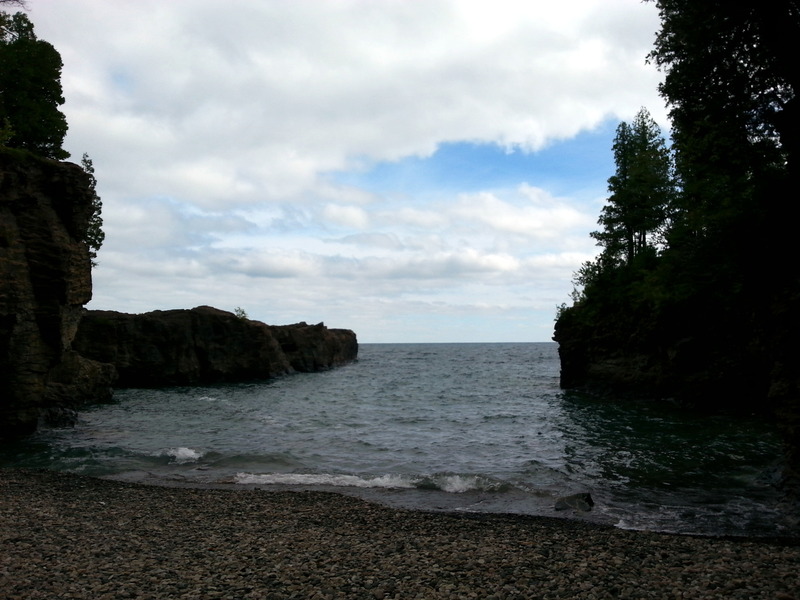 We’ve really enjoyed Ft. Wilkins SP here in Copper Harbor. I could easily stay here another week – first time for both of us here. Maybe one of the best things about this place is that it IS so far from Grand Rapids. Don’t know about the weather forecast. Radio signal is nearly nonexistent, and WiFi is very iffy. We figure that we can outlast a couple of days of bad weather in any location, by just hanging on. We’re patient that way. ;-). I’m so glad you discovered Lakenenland. 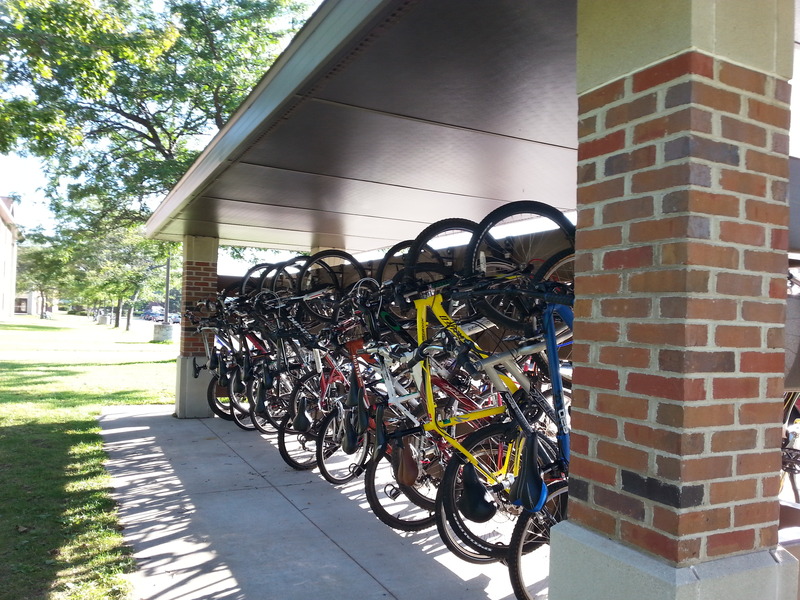 Great shots of Presque Isle Park. I KNEW that you would know about Lakenland. We loved it. I love people who can see the artistic or whimsical potential in common every day objects. You could easily be a Yooper, but we Trolls would miss you too much. More great beauty at every turn. That fish sounds tempting. The colors are just beginning to pop here in the last two days. I love the color but not the cold. Colorburst is going to be beautiful if it’s dry. Colors here are really hit/miss. We’ll see a beautiful hillside of color, then several miles of pure green. Peak color (at least here) is a ways off. Enjoy your great weather. Thanks, Alison. Best selfie I’ve seen in a long time!!!! Hopefully, that will be her only one. We don’t need a cyber furkid. 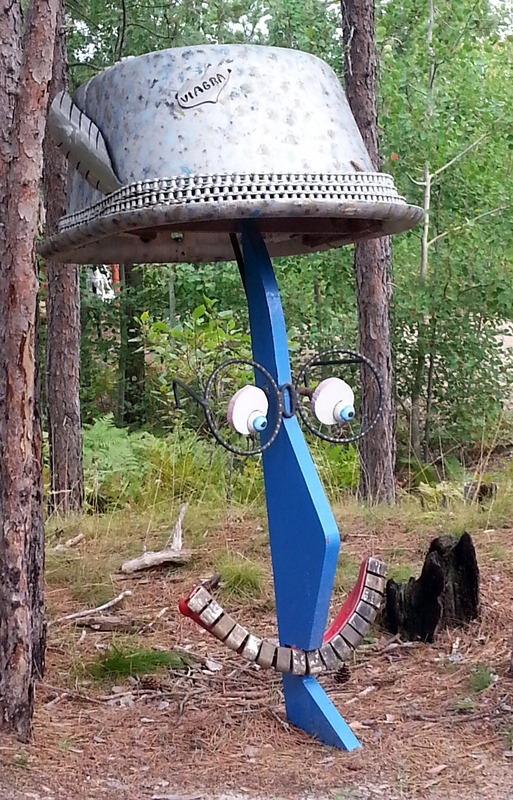 The recycled sculptures are unique, fun and hilarious. 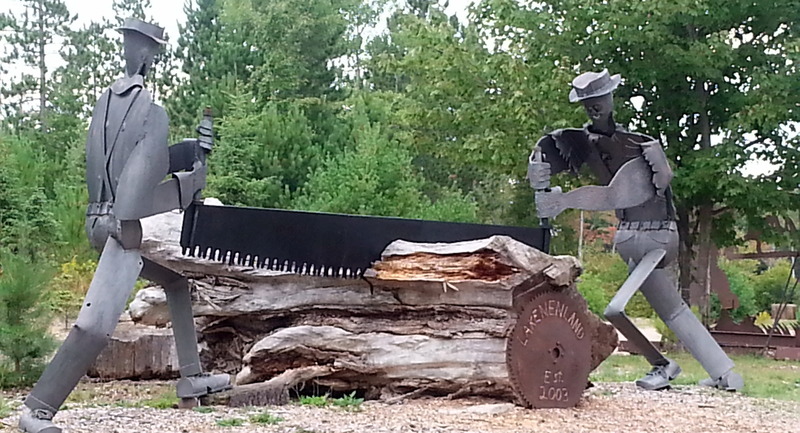 My fav is the tin men sawing a log. I’m in for a women’s only T@DA/T@B rally! Well, of course you’re IN for the FWMOT@DA Rally (First Women’s Only T@DA Rally). I expect that you’ll either be leading the Towing 101 course, or the Husband Management seminar. You pick! When I thought you were actually on your way to Marquette, Bob said to tell you to be sure to go to the Vierling Brewery near the waterfront. It was a great cafe and brewery – that’s where I had Blueberry Wheat. It was wonderful! 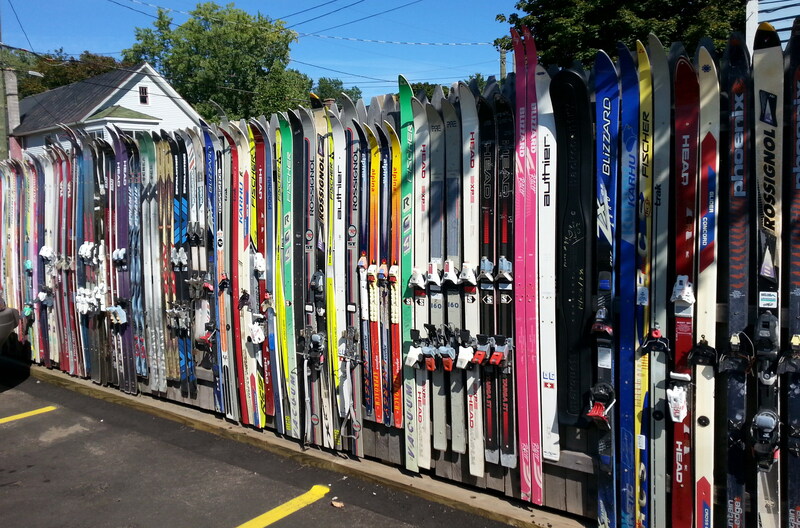 We totally understand your Yooper Wannabe comment!! You could get away with it better than we could since you’re already Michiganers. I don’t think a NC accent would mix too well up there (plus the NC blood is too thin for those winters!!! With practice, Susan, I’m pretty sure you and Bob could pass as Yoopers, Alaskans, or Florida Groupers! This may be our best trip yet. By far, the slowest pace, and the most relaxed we have been. Leaves have taken a disturbing turn toward the RED in the last day. We are hoping for no unpleasant surprises. You are my new towing hero. We need to think about a Ladies’ Only T@DA/T@B rally. I’m going to practice up, so that I can be ready.